Ever wondered what would the royal families of Game of Thrones drive had the setting been the 21st century world we live in? Well, our imaginative friends at Carspring pondered over the possibility, put on their thinking cap while also employing their artistic abilities to work. What ensued was these digitally rendered cars that various houses in Game of Thrones would drive if the medieval world of the iconic TV series was replaced with the Internet Age. Here, have a look, and do let us know if you have any alternative suggestions, and why. One of the most desirable hybrids in today’s time, the BMW i8 gets a makeover to look and travel even faster, embodying the white falcon. 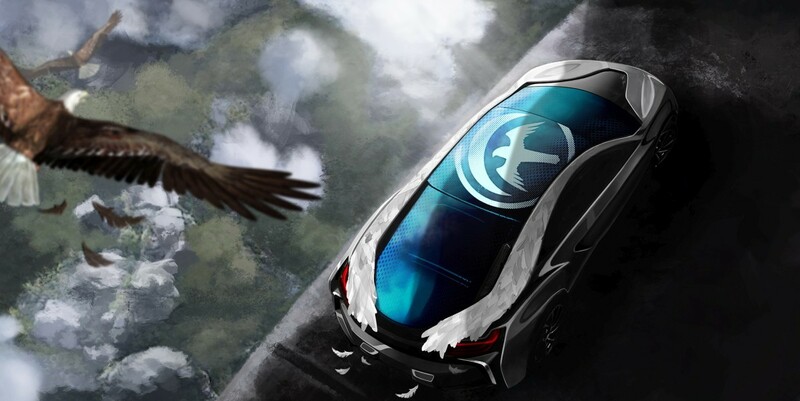 The falcon symbol on the blue top makes this i8 looks mystically beautiful. But going fast is not the only motive, and the vehicle has to be safe too and that’s where the strengthened body come into play. House Frey is on a critical stage after the Battle of the Bastards and the death of Walder Frey and his two sons. So quite evidently, they would need something that’s ultra rugged and strong. 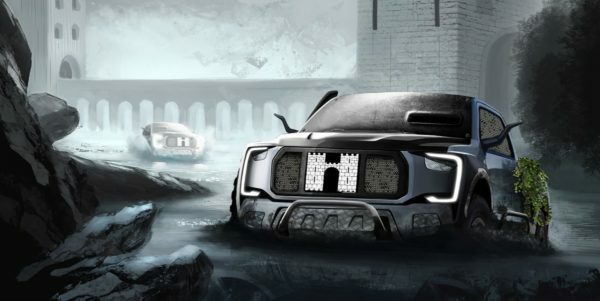 The highly modified Ford F-150 Raptor fits the bill for the dark kingdom. Making the F-150 Raptor extremely strong is its impenetrable windscreen, an all-terrain chassis, and armour plating to withstand any attacks. Those horns look pretty mean too. Despite the differences in the House of Greyjoy, both factions agree upon one particular thing, the completely overhauled DS5. Chocked-full of tech, the DS5 features an aerodynamic look, along with a mean body kit, and the front splitter. Those garing teeth, ferocious red headlights and shark fin on Greyjoy’s DS5 would scare the living daylights out of someone. Being the richest house, the Lannisters know how to roll in style. So thier BMW 3 Series gets a garish body and huge oversized alloy wheels. 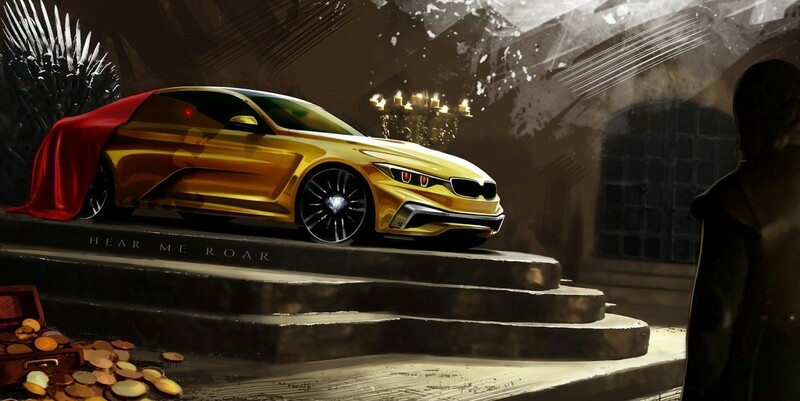 The sedan is draped in gold leaf, fresh from the gold mines, a symbol of House Lannister’s industry. Wondering why didn’t they get a 7-Series? They probably didn’t want Tyrion to feel smaller. Trust us, you don’t want to make that guy angry. It stunningly classy, and yet fierce in its own way. Unlike the Lannisters, the Starks believe in modesty and relatively simpler choices and their Peugeot 3008 reflects their values. 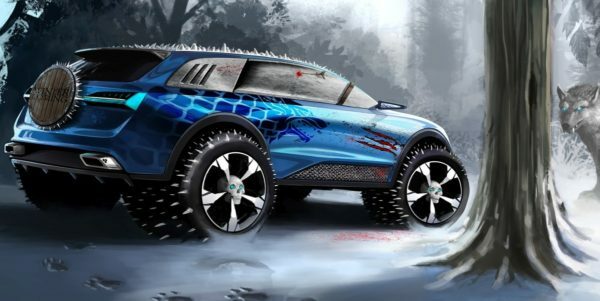 Although don’t mistake the 3008 to be an ordinary small family crossover. The massive wheels, wrapped in spiked tyres, are designed to dig their claws across the wintry lands. Besides, it might be the best vehicle of them all because, “Winter is coming.” You really wouldn’t want to get in the way of this one. 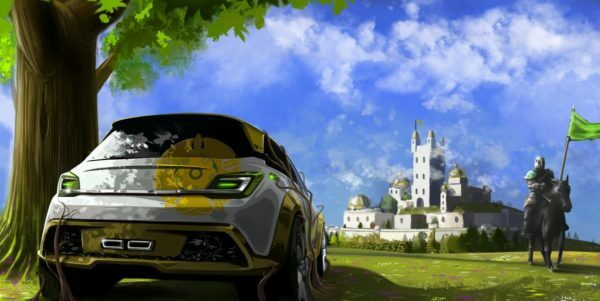 House Tyrell’s Vauxhall Adam may not look as extreme as other vehicles in this list but every rose has thorns and they sting. It also represents the family cohesion in the House. The changes aren’t just skin deep. So apart from the redesigned body, this one also packs a more firepower and a sports exhaust sticking out the rear bumper. 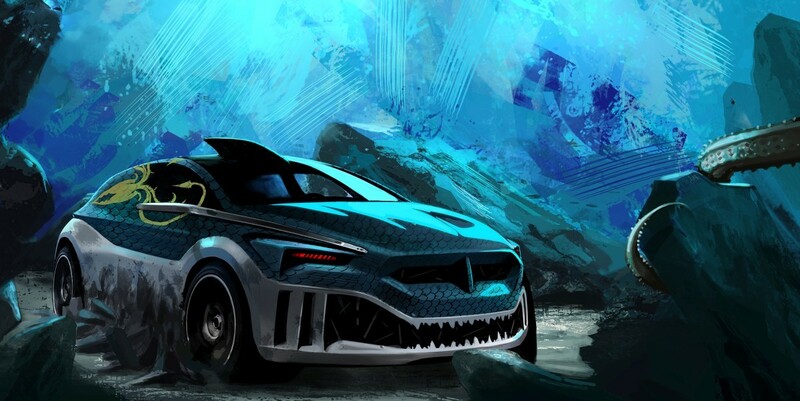 No other car would’ve suited the ferocity of the house of the dragons. The Targaryen’s BMW X5 is angular, and has a fire breathing supercharged engine. It may not be the Great House of Westeros and but it is coming back, ferocious than ever before. 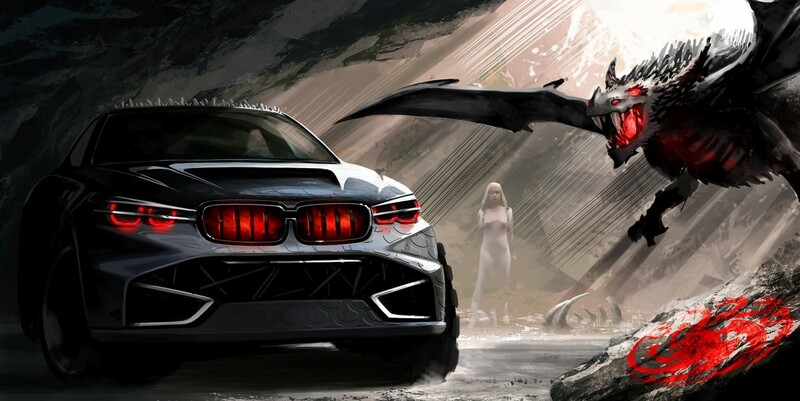 We’d love to see Khaleesi behind the wheel of this one.